Suitable for Hen Nights, Birthdays & Baby Showers. Light refreshments provided. Treatments can be offered in private areas if requested, Packages offered by appointment only*. *Please Note: Theses packages are intended for special events only. Available From £10 Covering All Treatments. Please note the following terms and conditions strictly apply to all treatments intended to be redeemed via gift card. Gift cards are NON-REFUNDABLE. All treatments booked are subject to 24 hour cancellation policy, the giftcard may be forfeit if less than 24 hour notice to cancel is given to the salon. For one time use only. Not to be used in-conjunction with any other offer. Non-Transferable. For sole use of the person named on card. Can not be redeemed for cash. Must be used by expiry date. Treatments must take place BEFORE expiry date. 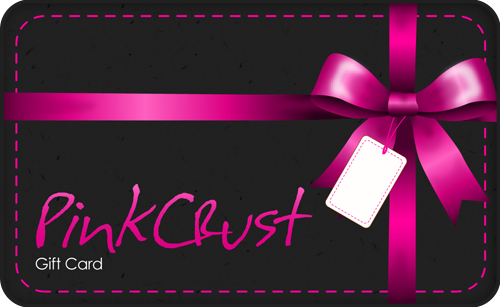 Giftcard remains the property of the PinkCrust salon. appointments subject to availability. excludes mobile service.